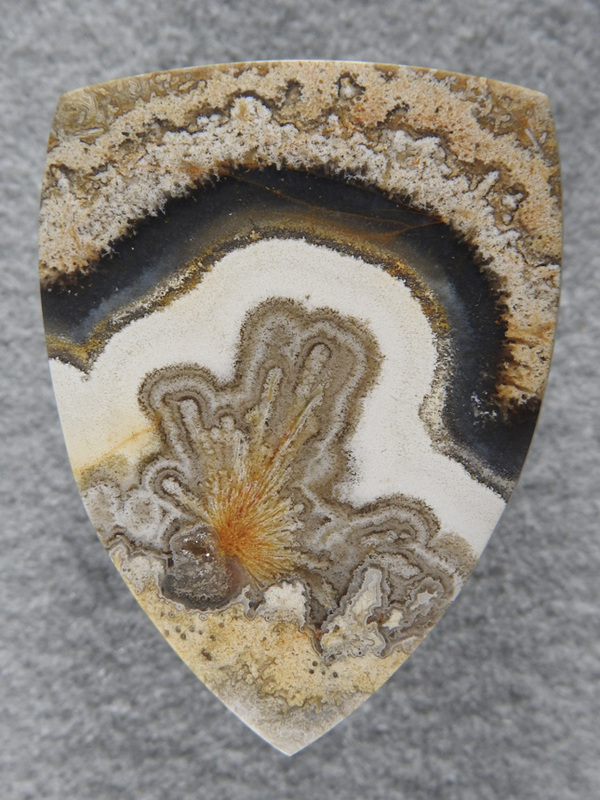 Crazy Lace Agate 1969 : Wow whata showy cab! I saw this in the slab and couldn't wait to set it free. Absolutely stunning.